HRH The Prince of Wales hosted A Stitch In Time, a festival dedicated to textiles, that took place in Dumfries, Scotland, this June. 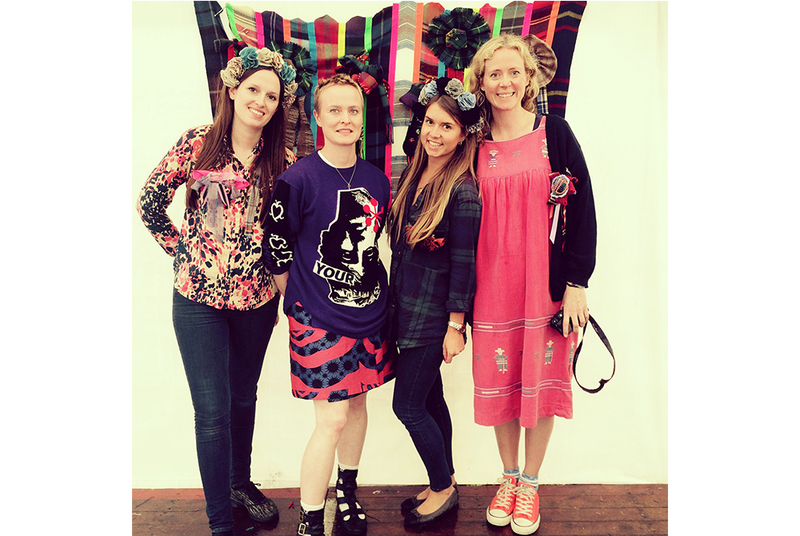 Pencil was hired to run an all day styling workshop for visiting school children and college students in which rosettes, corsages, brooches and giant bows were fashioned from tweeds, tartans and other Scottish woven wools and fabrics and transformed into the ultimate punk rock souvenir with neon embellishments. Jenny and the Pencils kidnapped fashion designer and LCF/RCA womenswear tutor Louise Gray plus drafted in a handful of talented volunteer fashion students from the Glasgow school of art to assist in the Pencil Atelier. The result was 75 happy teens and tweens, each with their own punk rock tweed accessory to take home.